Purpose: The present study has as its aim to identify the organizational management practices that involve intellectual capital as facilitators of innovation in its diverse formats, in Ecuador-based shrimp exporting companies. Design/methodology: The research of a qualitative nature was based on the Grounded Theory as a support for data analysis and collection. The personal interview was used in order to obtain the text corpus. The five resulting clusters served as the basis to apply inductive processes: open coding; axial coding; and selective coding, as a methodological activity meant to help interpret concepts and relationships. Findings: The organizational practices associated with intellectual capital in shrimp exporting companies are focused on structural and human capital management, where innovation has developed from the demands for the implementation of quality management systems in accordance with international regulations. Research limitations/implications: The main contribution made by the present study lies in establishing a primary reference framework for the design of strategic alternatives that involve strengthening intellectual capital as a way to generate sustainable competitive advantages in the companies belonging to this sector. Social implications: Shrimp exports, which stand out for being one of the most significant sources of income in Ecuador, contribute to local development by means of employment generation, mainly in rural communities. 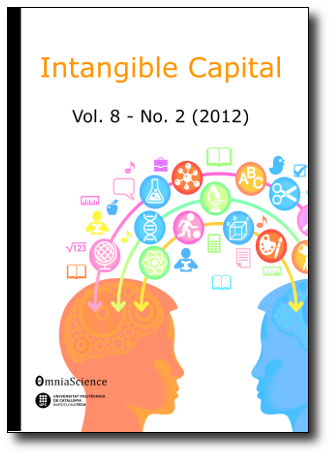 The exposure to organizational routines linked to intellectual capital provides a chance to come closer to the reality of this sector. This can prove useful for executives and public policy managers to prioritize an approach which influences the generation and maintenance of competitiveness at a firm level, and also impacts on the development of the regions where such business are located. Originality/value: Faced with the absence of works applied to this sector, the present work explores the reality of shrimp exporting companies, seeking to define a framework for the understanding of intellectual capital management, which might eventually imply a reference point for the design of strategies aimed at strengthening competitive positioning.